Its is year of the dragon, which means it is spread on 3 sets. I'm not saying they should have because it's the Year of the Dragon. But a lot of the Dragon synergy cards are less exciting when Faerie Dragon has to go in your deck because there aren't enough Neutral Dragons. Maybe they Print Dragons Next Expansion For a "Dalaran Counterattack"
I know im a bit crazy, but im really glad there aren't many dragons. After all, this is YEAR of the dragon, and i like that the best comes later on, even if it means months later. They said this year is gonna be whole year theme, so i presume there will be many dragons in expansion 3. Manage your expectations. The name of the year is a direct reference to the first set of the year: Kraken -> Old Gods, Mammoth -> Un'goro, Raven -> Witchwood. We got a legendary mage dragon which is the face of this particular expansion, and that's about it. You might argue Rafaam is the face of this expansion but I see it more like he's the face of the story arc, being on all 3 sets of the year to come. If I learned something about HS its to never expect that things go unchanged. If we had two years having their first expansions as their main (and only) year-like theme, then something is bound to change. It's always "buu blizzard" and then they surprise us with how good their plan was. Expansion 3 is I believe the dragon expansion, and in the expansion 2 i expect to see just a few mighty dragons like in this one. But...I like Dragons. They could've at least just put in one or two neutral ones. what is the callback for warlock and shaman? why pseudo-echo? its just echo, without the keyword. It's called marketing... They hype you up to spend $$$$$ in the pre-purchase and then..... Pum! 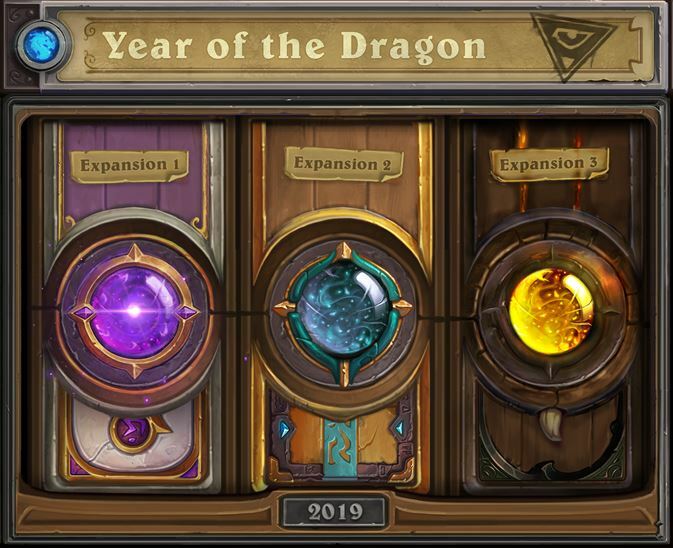 "Year of the Dragon" and we only get 3 of them, and non of them will probably be playable this expansion. Not a single new neutral one and the ones we already have in standard don't synergise much with Dragon Speaker. Very disappointed. 1. This is the first set of the year, out of three. There are 270 cards yet to come. There will probably be at least one neutral dragon in there, maybe even a Legendary one. Judging by the Paladin cards, I'm guessing Blizzard will push a Dragon theme for them at the very least. 2. Year names have nothing to do with anything. If you thought this was going to be dragon-themed, that's your own damn fault. Nobody tricked you, and nobody lied to you. Now that all card are revealed, this expansion will bring us just one Pirate (or did I miss any? ): too bad, I was really hoping to play some good Captain Hooktusk decks.